Click here and if you’re one of the first 25,000 people to register, you’ll be able to score a free sample of Tide Stain Release. The answer to the question is grass. need one.. hubbys a mes maker tnk u Tide. I applied recently for the Tide Stain release samples. Well, today i got something from ya’ll- a coupon!! I was really disappointed because i wanted to try this product out before buying it to see if I liked it. I buy a box of Tide EVERY week. You shouldn’t tell people that they will receive a product and then turn around and send a coupon instead. I still love my tide detergent though. Don’t worry! I thought the same thing about a week ago when I only received a coupon. Yesterday, I received another large envelope from Proctor and Gamble, containing a 10 pack of tide stain release, a sample of tide detergent, and another $2 off coupon. Just keep an eye out for yours, you’ll probably get it next week. 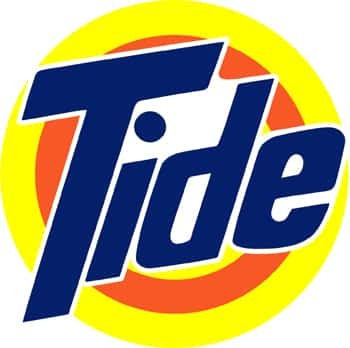 I <3 me some Tide!!! Thanks for the stain release! It is my favorite!! I use TIDE all the time LUV IT!!!!! Thank you for the free sample. I am excited!!! Tide is amazing. I love using it. I love the way it smells too. grass! please let me b one! Would like some free Tide. I love tide!!!! I have tried other brands, but nothing makes my clothes smell and feel so great! Thanks tide! Definitely need Tide stain release. Lots of stains from my kids working at a pizza place. i received my sample, and wow, was i impressed. I would recommend this product. Would like some coupons please! would love to try it…. Free tide please and thank you! yay! I am broke and this helps! I would love some Tide stain release. The only detergent I will use. it really works love it!!! !